From Buffalo Bill to Steam Trains, Historic Homesteads to the History of Brewing, Colorado’s First Capital City Has Seen it All – and It’s All Still Here to Be Seen. Sunday, February 26 marks the birth date of one of the world&apos;s first superstars. Not Elvis – he wasn&apos;t even born until 18 years after this superstar was laid to rest. No, it&apos;s Colonel Buffalo Bill Cody. 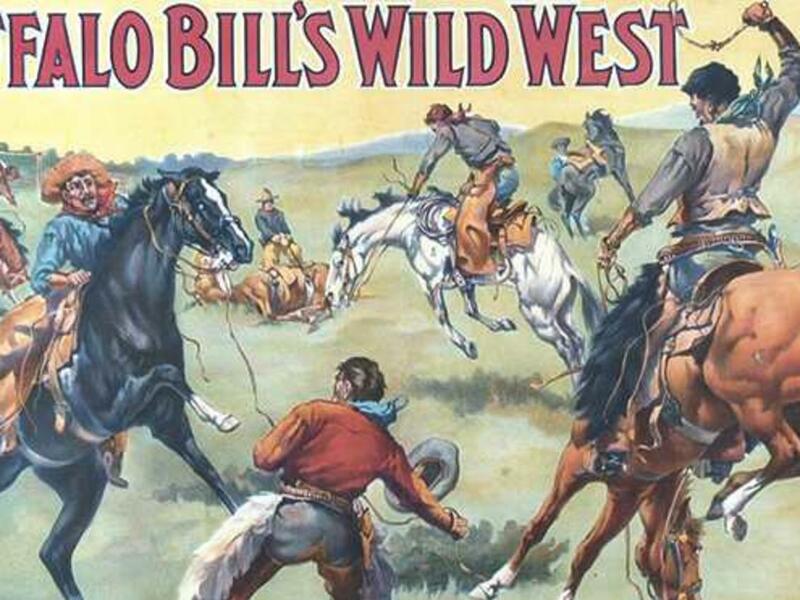 Today, Buffalo Bill is remembered as a historical figure, but from 1883 to 1913, he created the first show business world tour -- “Buffalo Bill’s Wild West.” There has never been anything else quite like it. While Beyonce’s current world tour has 20 backup dancers and will be held in 41 cities, Buffalo Bill performed in more than 1,000 cities in a dozen nations with a cast of 640 cowboys, Indians, vaqueros and rough riders. It took a special train of 52 box cars to move his show, which included the third largest buffalo herd on earth. Kings, queens and presidents attended his shows and it is estimated that more than 25 million words were written about Buffalo Bill during his lifetime, making his silver goatee, buckskin jacket and wide Stetson hat more recognizable and famous than anyone in the world. When he died in 1917 while visiting his sister in Denver, his body was put on view in the state capitol and his funeral was (and still is!) the largest ever held in Colorado. You can help celebrate Buffalo Bill&apos;s birthday on Saturday, February 25 from 11 a.m. to 3 p.m. at Rock Rest&apos;s Buffalo Bill birthday celebration. Featuring hundreds of Old West re-enactors, free contests, fabulous prizes, national and Colorado authors. The Homesteaders & Goldminers: Golden was Colorado’s first capital and the closest town to the goldfields that sparked the Gold Rush of 1859. The Golden History Center has exhibits on the town’s history and the Gold Rush that brought 100,000 men and women across the Great Plains in just two years in the hopes of striking it rich. On the other side of a fast rushing river is Clear Creek History Park, the complete homestead of the Pearce Ranch in Golden Gate Canyon that has been relocated to this beautiful spot, complete with barns, chickens and a farm house. Tours let you see what it was really like living in the Old West, and kids love meeting and feeding the chickens. The Railroads: It was the railroads that “won the West,” and the largest collection of steam locomotives and cars in Colorado is located nearby at the Colorado Railroad Museum. Most fun of all, the museum has a half mile circle of track and daily throughout the summer, they fire up one of their many operating steam locomotives and pull passengers around this giant model railroad, steam whistles blowing and bells clanging. On the other weekends, they have a Galloping Goose – an old Pierce Arrow limousine that was put on wheels with a bus on back that used to run over the Rocky Mountains near Telluride. The museum has indoor and outdoor model train displays, and during the holiday season they stage the fabulous Polar Express, where Santa comes on board a steam train and every passenger gets a silver bell. The Dinosaurs: We’re talking real Old West history here, but the Golden area was once a tropical swamp filled with dinosaurs, and the first T-Rex bones were found in Golden on top of South Table Mountain. The Triceratops Trail runs for 1.5 miles through Golden and you can see 100 million year old footprints of a Tyrannosaurus rex, Edmontosaurus, and Triceratops. Nearby at Dinosaur Ridge, you can see actual dinosaur bones still in rocks and examine hundreds of dinosaur footprints. A museum tells the story of the “dinosaur gold rush” that was unleashed in 1877 when Arthur Lakes, a professor at the Colorado School of Mines in Golden, discovered the first dinosaur bones and thrilled the world, sending hundreds of scientists to the Golden area to look for more fossils. The Brewers: What would the Old West be without a saloon? And saloons need beer. In 1872, a young brewer from Germany was walking along Clear Creek in Golden when he discovered many cool springs of crystal pure water bubbling up from the ground. He knew water was a major ingredient in beer, so with a partner, he bought the land around the springs and turned an abandoned tannery nearby into a brewery. His name was Adolph Herrman Coors, and today his brewery is the largest single-site brewery in the world. Coors Brewery produces 13 million barrels of beer a year, which translates to 4.3 billion bottles – or about 221,000 bottles of beer for every resident in Golden. And Coors isn’t the only brewery in town. There are five other award-winning craft breweries located here, as well as a distillery. Buffalo Bill, who was known to have a fondness for alcohol, would be proud. The brewery has an excellent tour where you can see and learn how beer is made, and also discover the history of beer brewing in Colorado. After the tour, those over 21 can sample three free beers. What better way is there to discover the Old West in Colorado? Whether you venture out on Buffalo Bill&apos;s birthday or any day, you will find plenty of ways to celebrate the Old West in Golden!